Remember back when I posted about the crazy creatures eating our pumpkins? Well, soon after, and something I didn't post about, we discovered holes and mound of dirt all over our garden. 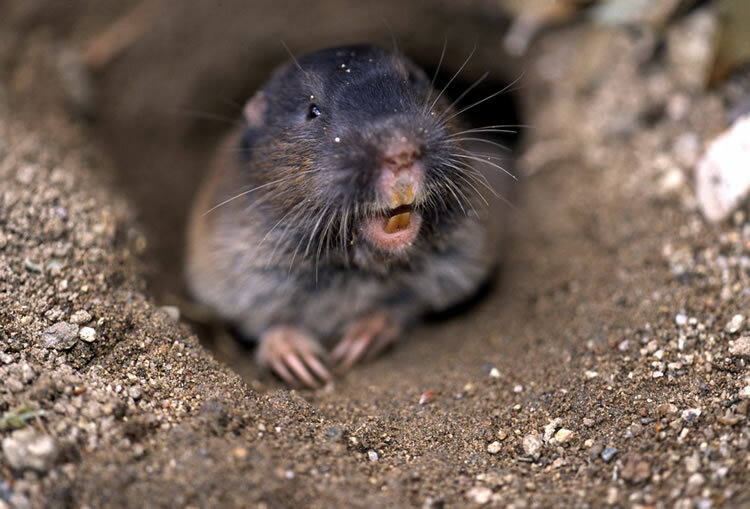 After studying said holes and mounds for a bit, I did some research and found out that they were the doing of the infamous pocket gopher. These things are brutal - they eat roots, kill plants, even sever underground wiring and pipes. Well, we disposed of the pumpkins and it seemed that no new holes had formed. But my bougainvilla had started to brown around the edges. So this weekend we dug up some large stepping stones in the herb garden, and whaddayaknow? There were the gopher tunnels plain as day. Fortunately we are quite sure the gophers are gone since all the holes and mounds were filled and no new ones have popped up since. But the tunnels just make my skin crawl. yuck! i've had the skunks and the squirrels, i've had the raccoons, i've got the lizard that looks like a snake, i've had the coyote ....... next up, GOPHERS? !